Height of netting is 31.5 feet. Netting begins at the start of the camera well on the far end of the 1B dugout and end at the start of the camera well on the far end of the 3B dugout. From behind home plate, the netting will extend 149 feet down the 1B line and 145 feet down the 3B line. Fans in these sections are still exposed to objects leaving the field of play, including bats and bat fragments, and thrown or batted balls; ticket holder assumes all risk of injury. 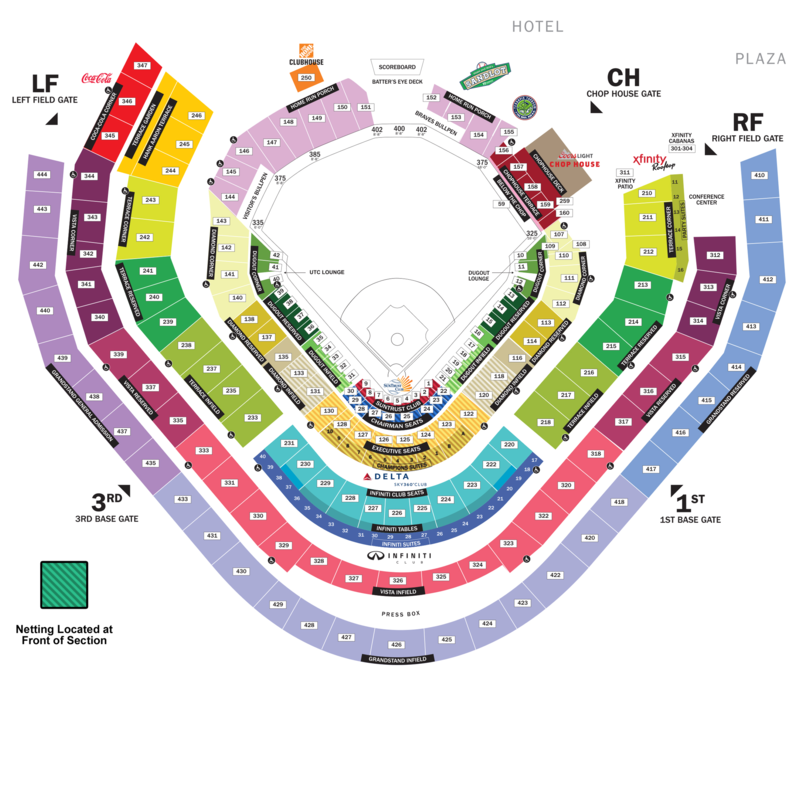 For more information on netting or screening coverage and seating options, please contact the Atlanta Braves ticket office at (404) 577-9100.